Every group of friends has one person whose house is the place to be, it's the tribal center where lifetime bonds are formed and memories are made. Kelty's Big Shady is the camping version of that. Every group of friends has one person whose house is the place to be, it&apos;s the tribal center where lifetime bonds are formed and memories are made. 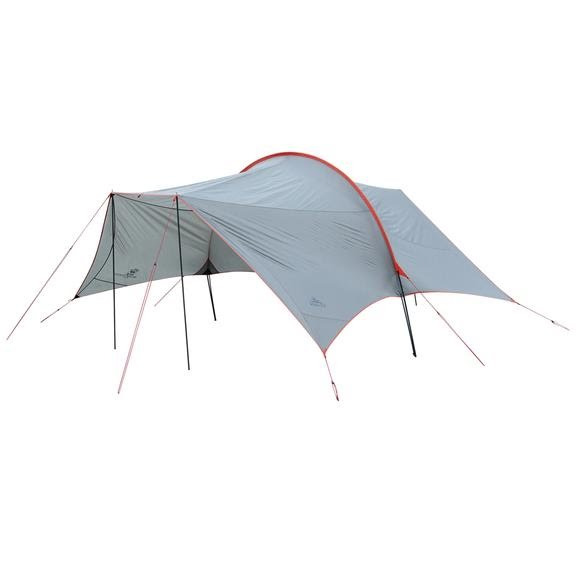 Kelty &apos;s Big Shady is the camping version of that. With a welcoming, door-like entryway and a large footprint that accommodates your entire squad underneath, it&apos;s more than your basic pop-up shelter for festivals and days at the park, it&apos;s the future hub of your backcountry tribe. Stuffed Size 25" x 9" x 8"